Special counsel Robert Mueller's report has been delivered to Attorney General William Barr and an unnamed Department of Justice official has said Mueller is not recommending any additional indictments related to his investigation. But before purchasing a French vineyard, and branding a celebratory "Trump Champagne," the president should have his legal team look closely at the evidence in Mueller's report. Mueller has already concluded that Russia interfered in our presidential election. He said as much when he indicted 13 Russian operatives, in February 2018, for their illegal efforts to ensure that Trump won the election. Whether Trump or members of his campaign coordinated with Russia's endeavor to install Trump as president has been an open question Mueller was tasked to answer. 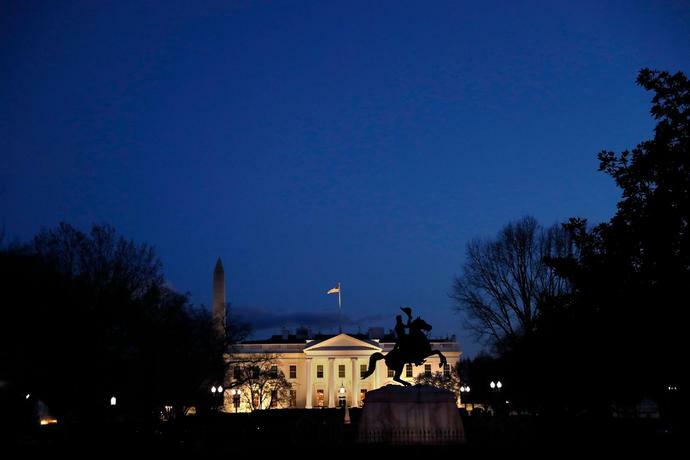 Until Mueller's report is fully disclosed, it is impossible to know whether it holds an impeachment crosshair or a halo of absolution. There are many possibilities. Maybe there is evidence that Trump and his campaign conspired with Russia to influence the 2016 presidential election. Maybe a case against Trump campaign officials is strongest with Trump as an indicted co-conspirator, so charges will be delayed until he leaves office. Maybe there is evidence to support a conspiracy between Trump, his campaign, and Russia, but the evidence is not sufficient to meet the "beyond a reasonable doubt" standard needed to indict. Or, maybe there is no evidence that Trump or his campaign conspired with Russia. Given the evidence already breaking the seams of the public domain, it is hard to imagine that Mueller's report will offer a full exoneration of the president and his campaign. Democrats may be disappointed that Mueller did not indict the likes of Donald Trump Jr. and Jared Kushner, who many consider the closest orbiting co-conspirators to the president. But, given the signs that Mueller's investigation has been thorough, his report will likely be a treasure trove of evidence that, if not establishing outright crimes, will establish profoundly "swamp-like" conduct by Trump and members of his inner circle. Perhaps the most significant question Mueller's report can answer is whether there is evidence that Trump has been compromised by Russia. It may not be a crime to lie to the American public about currying favor with a foreign adversary, to make hundreds of millions of dollars by building Trump Tower Moscow. But it helps explain the president's siding with Vladimir Putin over U.S. intelligence agencies and his refusal to implement congressionally mandated sanctions against Russia for its election interference. If Mueller's report is the gold mine of impropriety I predict it to be, expect Barr to refuse full disclosure and the resulting battle to end up in the Supreme Court. Should the report ultimately be released in full, assessments of its value will undoubtedly break along partisan lines. The Fox News militia, the Sarah Sanders-Kellyanne Conway tag team and the GOP bobble heads will echo a pronouncement of vindication if Mueller's report produces anything less than a smoking gun. There is danger for congressional Democrats in relying on Mueller's report to support ongoing investigations. Since taking office, the sheer volume of political bombshells dropped by Trump has recalibrated the public's appetite for, and tolerance of, scandal. By feeding us a steady diet of corruption, Trump has reduced our attention to any individual misdeed. That will serve him well. For the last year, the possibility that Mueller's report would recommend indictment of the president, and other current members of his administration, set a bar of anticipation that will not be met. It won't matter how much presidential corruption is contained in Mueller's report. Trump will spin something that would be fatal to any other politician, into a perceived victory by his conservative media allies and unflinching supporters. It's not the Trump supporters Democrats need to worry about when they are accused of being spoilsports for refusing to move forward and tackle the meat and potato issues that are important to the American public. It's the pocket of swing voters who will decide the 2020 election. If Donald Trump's presidential victory has taught us anything, it is that shiny objects shorten our attention span. That makes locating the truth, and appreciating its significance, a struggle. The end of Robert Mueller does not mean the end of investigations that seek to expose crime and corruption connected to Trump and the "best people" he brought to Washington. Federal and state prosecutors in New York continue to investigate. And evidence in Mueller's report may have been turned over to prosecutors in other states. The former federal prosecutor in me says congressional Democrats should take Mueller's report and run with it. Shinning a light on the moldy underbelly of political corruption is right thing to do. The civic observer in me has watched a sure thing disappear, in part due to a perception that she was moored too tightly to the past. This article originally appeared on USA TODAY: Robert Mueller report will be a gold mine of improprieties. Trump shouldn't celebrate yet.